The POS 11 is designed to fit 11-inch tablets with or without cases on them. This holder will accommodate your Dynamag Magtek and IDTech MiniMag card readers. 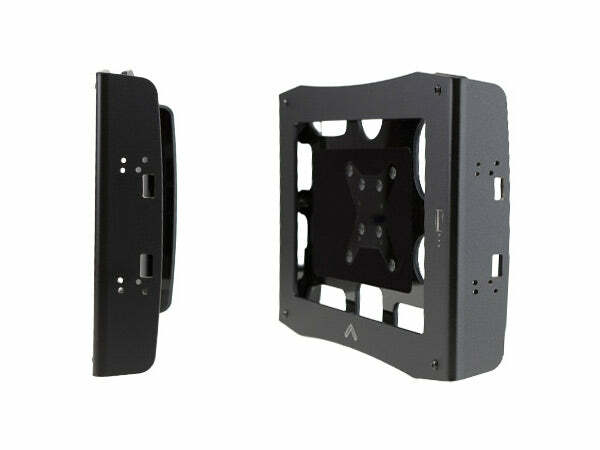 This kit comes complete with the holder and Universal Heavy Duty Mount. Specify your size arm below. The POS 11 is designed to fit 11" tablets with or without a case installed. The POS series is designed to accommodate your Dynamag Magtek and IDTech MiniMag card readers. This series also belongs to our "hybrid" class of holders. Hybrid holders give you the option of locking your tablet in the holder, or having the ability to install and remove the tablet quickly. The kit comes with both the holder and the Heavy Duty Mount. The POS series is designed to accommodate your Dynamag Magtek and IDTech MiniMag card readers. Card readers that may not fit the mounting pattern can be adhered to the side of the holder using double sided tape or even velcro. By removing a single spacer from the holder, you'll have the ability to easily slide your tablet in and out of the holder. 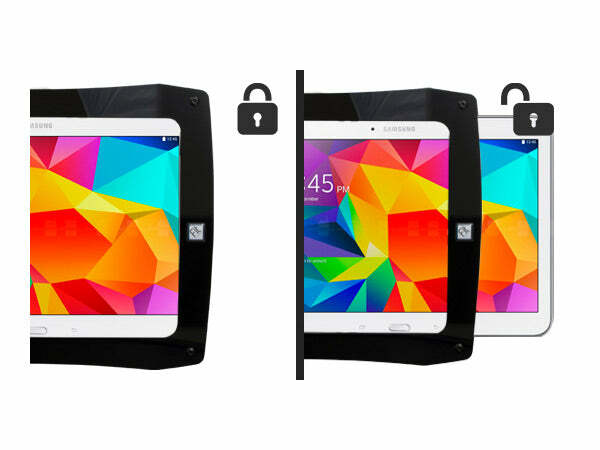 Keeping the spacer installed will keep your tablet securely locked in the holder. 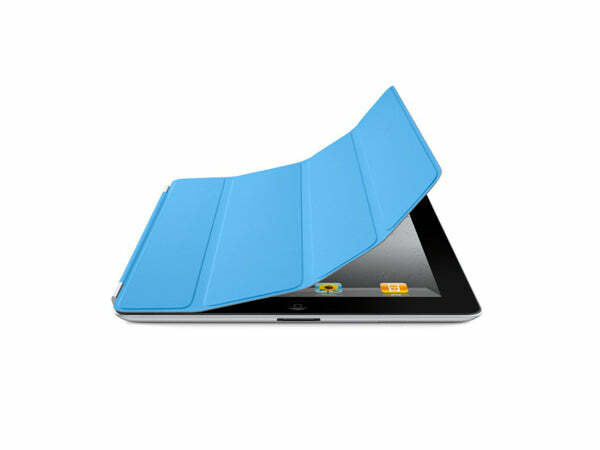 The interior of our holders are lined with a felt-like flocking that allows your tablet to easily, and safely, slide in and out of the holder. 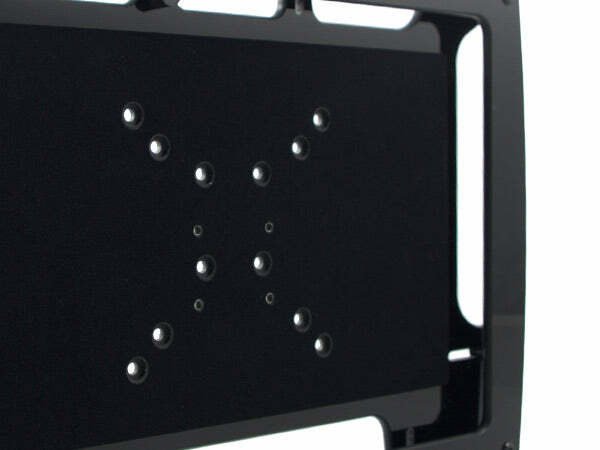 We use industry standard mounting configurations with our holders, including the AMPS and VESA MIS-D (75, 100) mounting patterns.